We could handle not only container size cargo but also items bigger than the container, and deliver to the area where the sea port facilities are undeveloped. 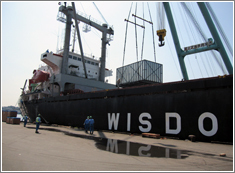 Ishikawa-Gumi also offers a thorough service from arranging vessels to shipping procedure. Our well-experienced staff basically handles total freight solutions, so we could maintain the service with a high level of safety and accuracy, and take full responsibility in handling customers’ important items. Please do not hesitate to contact us for any request of these arrangements. Ishikawa-Gumi offers transportation service meeting customers’ needs, providing diversified air transportation arrangement. We provide service by handling various items flexibly such as frozen items requiring strict temperature managements, large items that should be loaded through the nose of the aircraft, and etc. We handle customers’ important items with total care. Followed by the corporate globalization, we utilize our worldwide network of the agent companies and provide our service globally to China, USA, Germany, Asia, etc., and handle logistics of items which do not transfer to and from Japan. 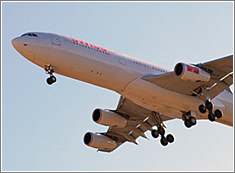 We also offer customs clearance and door-to-door delivery service. To deliver customers’ important item cordiality would be the big point of our service. 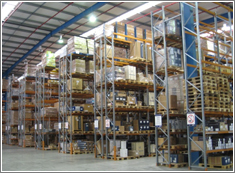 We offer the best way of packing followed by its characteristic of the items, and control them with full responsibility. Considering the delivery method, destination, cost, and safe transportation & storage, we can handle every item with our best service meeting customers’ requests. We arrange the best packing for exportation; from picking up the customers’ packages to arranging the packing that meet customers’ needs with warm heart. 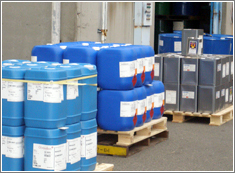 We also handle specific shipments such as dangerous goods, large / heavy items, from pick up to on-site delivery. Offering importation / exportation of your new factory or factory movement of the production line is also available, so please do not hesitate to consult us. 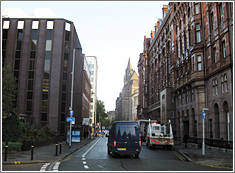 We offer total removal service to the customers who are planning for relocation. We also respond to customers’ requests such as house cleaning, storage services and etc. You shouldn‘t have to worry about the actual move itself, as we also provide services such as removal of debris after the move, placement of items, etc. We utilize a wide variety of packing materials for your move. 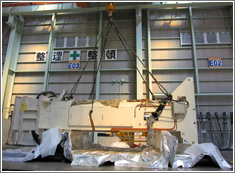 Our skilled staff provides project cargo movements from origin to destination. 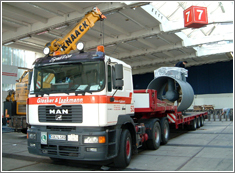 We handle placement of large machineries, engines, etc., cooperating with our partner companies over 27 countries worldwide. We offer total service from customs clearance to installation of the items with safety, reliably, and accuracy. Ishikawa-Gumi will continue to further expand the service in this division.